Over the past few years, the Internet of Things (IoT) has been gaining steady momentum, as more devices and appliances are becoming network connected. But, this trend has been largely viewed in a residential context—making “smart homes” smarter, by means of nifty gadgets. But that’s not how Legrand sees it. For the infrastructure giant, there is massive potential in harnessing IoT to transform built environments of all kinds, making them not only “smarter,” but more energy efficient, too. 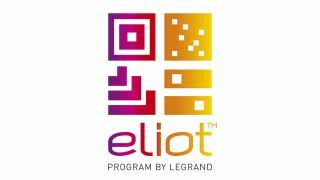 Last November, Legrand launched the Eliot program to harness what it predicts will be an $11 trillion opportunity over the next decade. Through partnerships with major companies like Cisco, Samsung, and Amazon, Eliot (a portmanteau of “electricity” and “IoT”) aims to bring together disparate devices, such as Legrand’s millions of light switches and electrical outlets already installed around the world, into harmonious, intelligent systems.